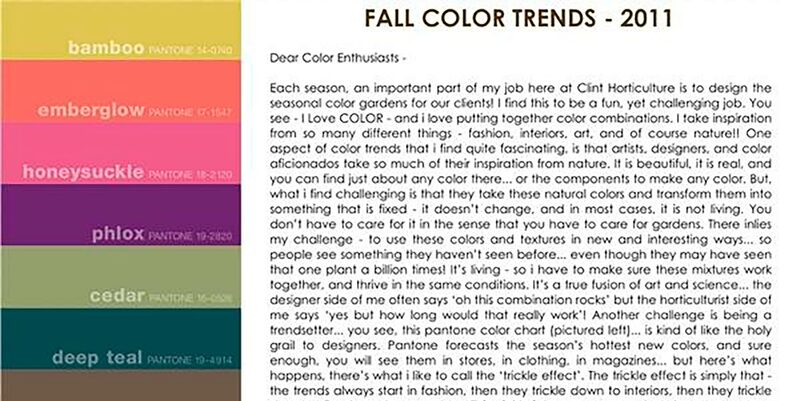 Believe it or not... i have been busy as a bee all summer working away on my fall color plant palettes. It may seem a little strange to already be planning the seasonal color that we won't even think about installing until mid-November (December preferably). But, in our industry - the spring and fall always sneak up on us... and at a moments notice a client is ready to 'freshen' things up... and after the summer we are experiencing now, i know the same will hold true this season! I like to think that i'm super organized (though that's not necessarily the case), and always ready for those moments - but let's just say - i work well under pressure.. probably too well! I do however, work extremely hard on getting my seasonal color planned, booked, and ready to go-- AHEAD of schedule. 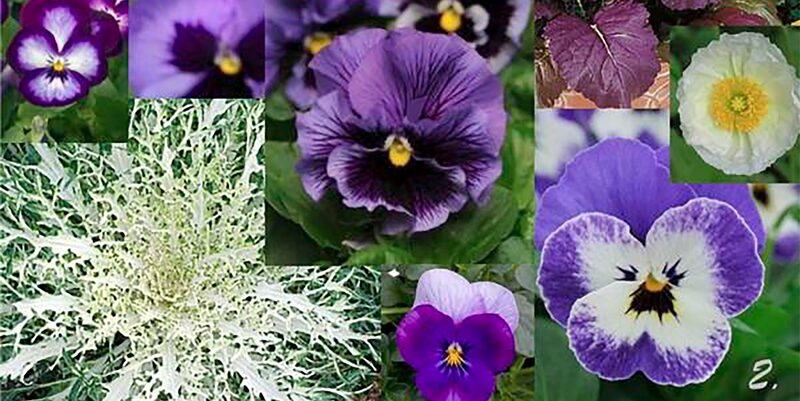 Many of you may think - 'what... plan seasonal color, why don't you just go buy some pansies and stick 'em in the ground' - and if that's the case, then you don't know me! We take a lot of pride in our seasonal color displays here at Clint Horticulture - and i have A LOT of fun working on the palettes! I'm pretty detail oriented - and pretty big on always trying something new and different. 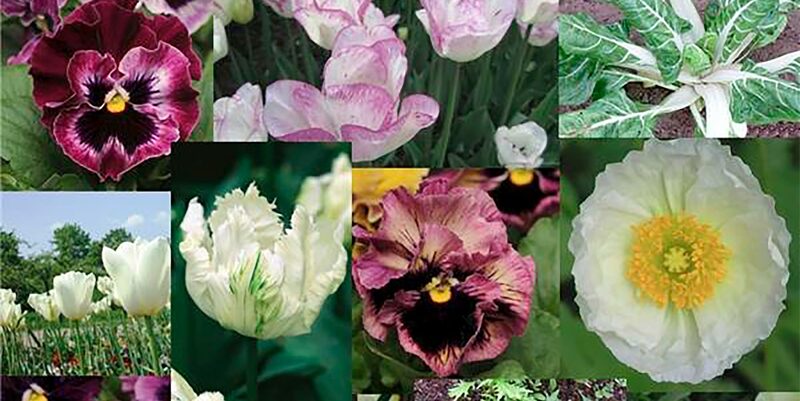 I also love unexpected plant combinations... so in the sport of out-doing myself each season, i plan away. As i am getting ready to book the majority of my plants for installation this fall - i wanted to share with you 3 of my favorite palettes! I'll have to say this season - i'm pretty big into the monochromatic color schemes - they are just so darn dramatic... and are really quite show-stopping in person! 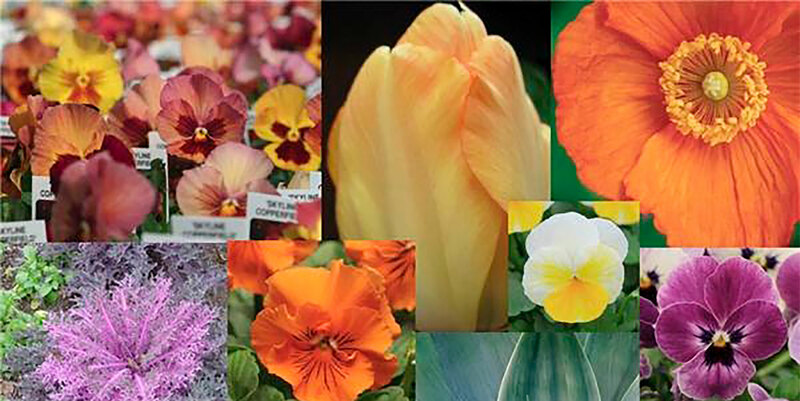 if you keep your eyes peeled this winter and early spring... you may just see a few of these combos brightening up the gardens around town!